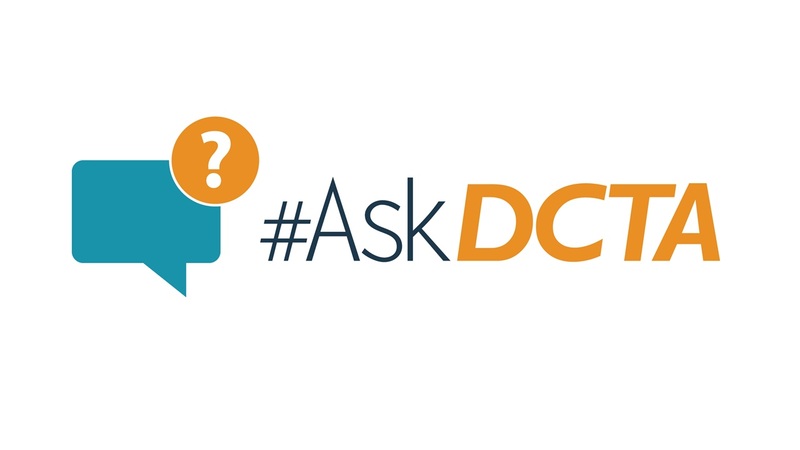 #AskDCTA: How Does DCTA Operate During Severe Weather? Have you ever wondered what happens when you lose an item on the bus or A-train? Not sure what you can and can’t bring on the bus? Now you can #AskDCTA! In our monthly blog content series, our customer service team answers frequently-asked rider questions to better engage with our riders and improve their experience when riding DCTA. For the month of April, Samantha Balderas – Customer Communications Specialist— shared how we operate during severe weather and how you can stay dry this spring! Does DCTA Operate During a Tornado Watch or a Severe Storm? Yes! We operate in an area that is susceptible to periodic severe storms. During hazardous driving conditions, the safe operation of our vehicles and the care of our passengers is our top priority. If there is a tornado watch in Denton County, we will continue to operate our services under extreme caution. If there is a tornado warning, the driver or conductor must hold the passengers until the warning is lifted. We follow a series of procedures and guidelines when severe weather is expected. Our Bus Operations team monitors the weather conditions and takes appropriate action in order to keep our passengers, staff, and the general public safe. Bus operators are expected to drive with caution during heavy rainfall and hail. Service delays are possible during severe thunderstorms. University of North Texas (UNT) and North Central Texas College (NCTC) shuttle services are adjusted depending on the severity of the weather. In the event campuses close, we will continue service for those departing from campus. The length of service is determined on the weather conditions and communication with campus representatives. Students and campus faculty will be notified of any delays or service changes through campus alerts or our Rider Alerts. Our A-train dispatchers also monitor weather conditions. The A-train operates on a normal schedule during heavy rainfall and thunderstorms. Any delays or schedule changes are communicated through Rider Alerts or our website. If you haven’t signed up to receive our Rider Alerts yet, we encourage you to do so! Our Rider Alerts system is the best way to stay informed in case of major service delays throughout our transit system. Paratransit operators are to report unsafe road conditions and follow instructions from our Bus Dispatch staff. Only non-essential trips may be temporarily modified or cancelled depending on the severity of the storm. Some examples of non-essential trips include shopping, school, and hair appointments. Medical and life sustaining trips such as doctor’s appointments and dialysis will remain as scheduled as long as it is safe to do so. What Should I Do In Case of a Tornado Warning While Riding DCTA? It’s important to plan your trips accordingly and stay up to date with weather conditions. If you are standing at the bus stop or A-train platform, seek immediate shelter. If there is a tornado warning, the bus operator or A-train conductor must hold the passengers in a safe location until the warning is lifted. If the vehicle is in route when the operator becomes aware of the tornado warning, the driver must go to the nearest stable facility and take all passengers inside. If there is no time to evacuate the vehicle, passengers should place their heads between their legs so that they are below window level. All passengers should wait until the storm passes. Passengers should not exit the bus or A-train if the operator is aware or suspects power lines are down in the area. Your safety is our top priority! Always listen to the operator’s safety instructions. What Happens If Parts of My Route Become Flooded? It is never safe to drive or walk into flood waters. According to the National Weather Service, it takes 12 inches of flowing water to carry off a small car, and up to 24 inches for larger vehicles! If you see that a bus stop or road is under water, turn around and seek a different route. You can also call our customer service team at 940.243.0077 to get more information about reroutes or detours. If we receive reports of unsafe road conditions, our operations team will make temporary modifications to bus and rail service such as detours or service delays until further notice. We will send out Rider Alerts to passengers when these modifications are confirmed. A-train service will continue as normal, however in rare cases of severe flooding, a bus bridge may be provided for passengers.